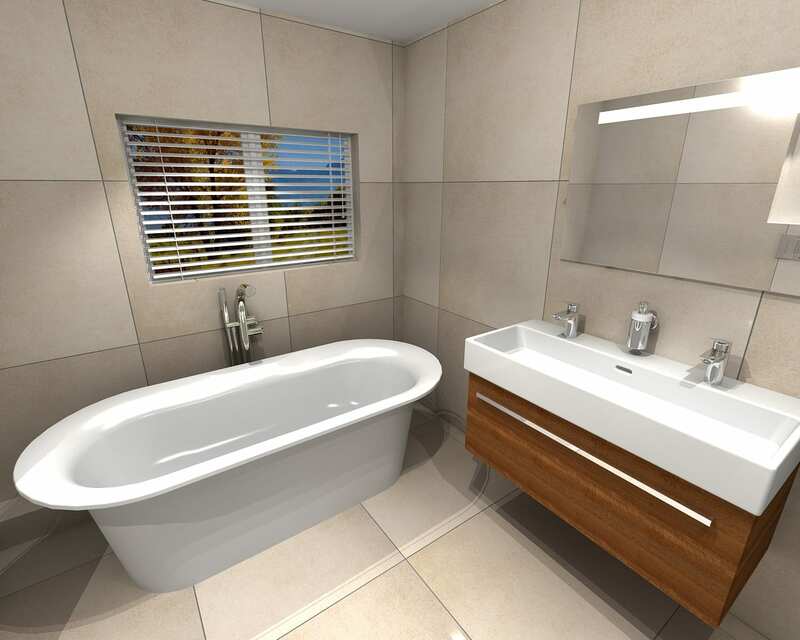 A free-standing bath is the main focal point of this bathroom design. 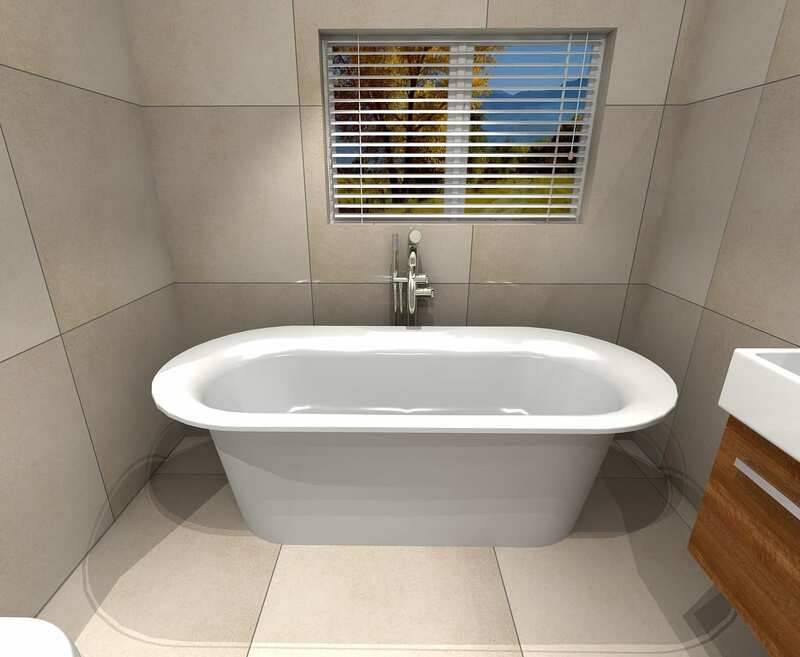 The attractive roll top bath sits central under the window allowing the natural light to amplify the baths sophistication and minimalist elegance. 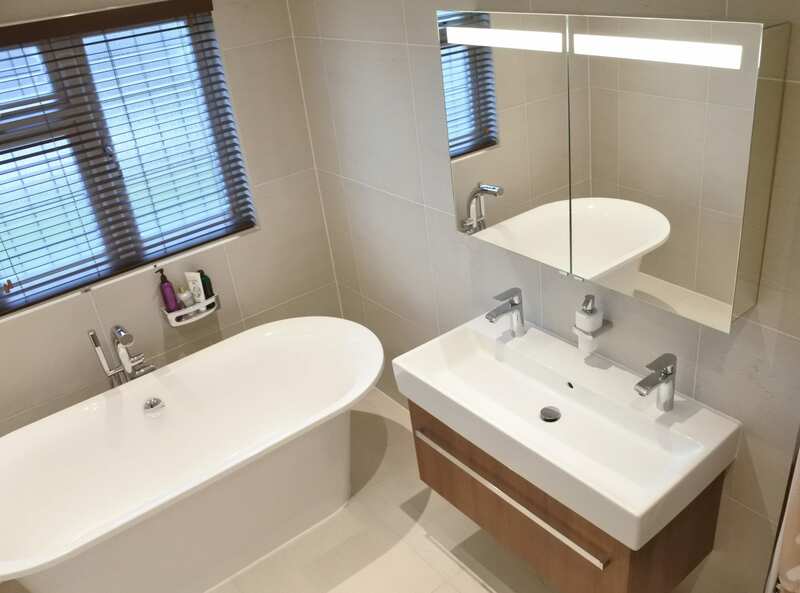 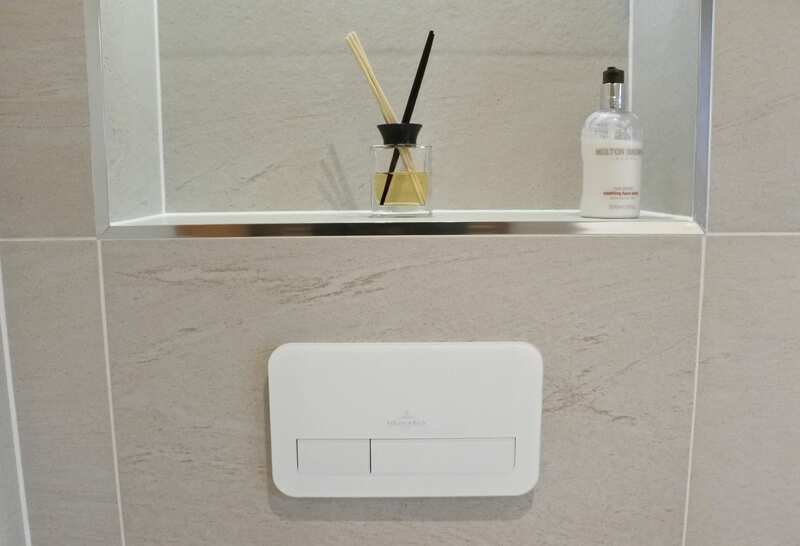 The vanity unit, finished in a mid-tone wood effect and chrome handle, has one deep drawer allowing for sufficient storage whilst in keeping with the minimalist design. 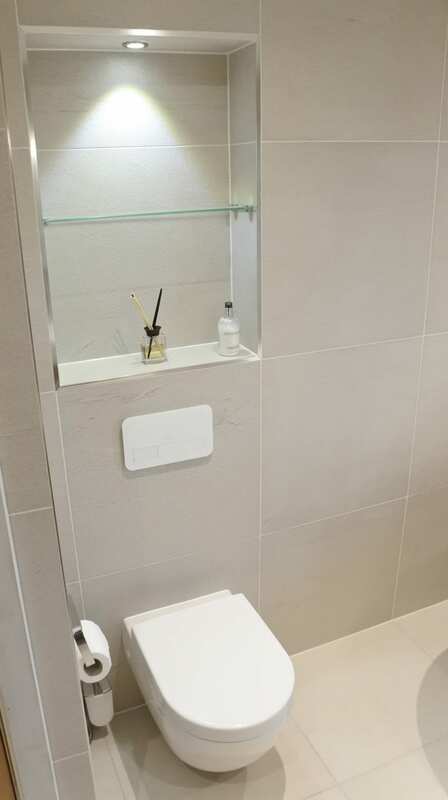 The double tap hole in the large washbasin allows the bathroom to be fully functional for two people during the morning rush. 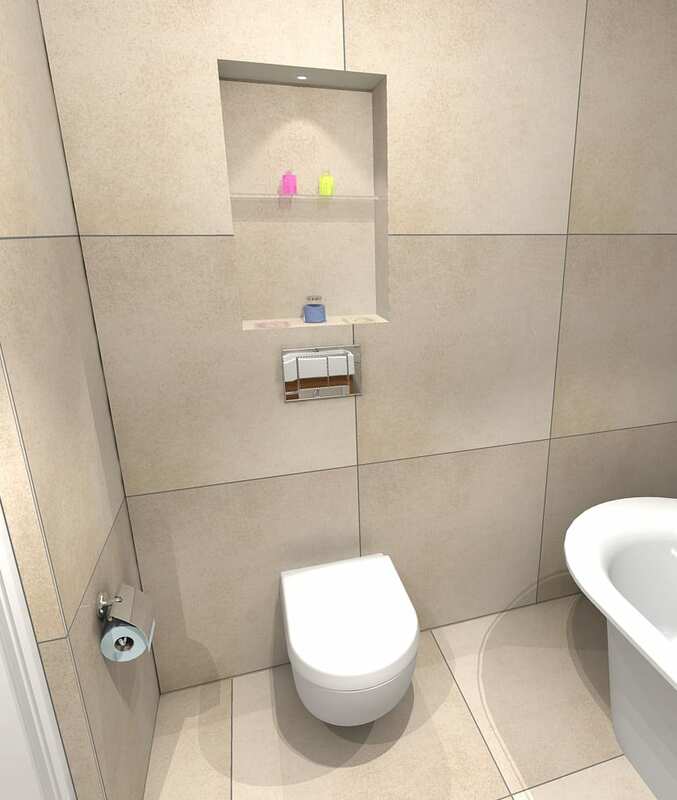 The wall hung furniture and toilet creates the illusion of more floor space. 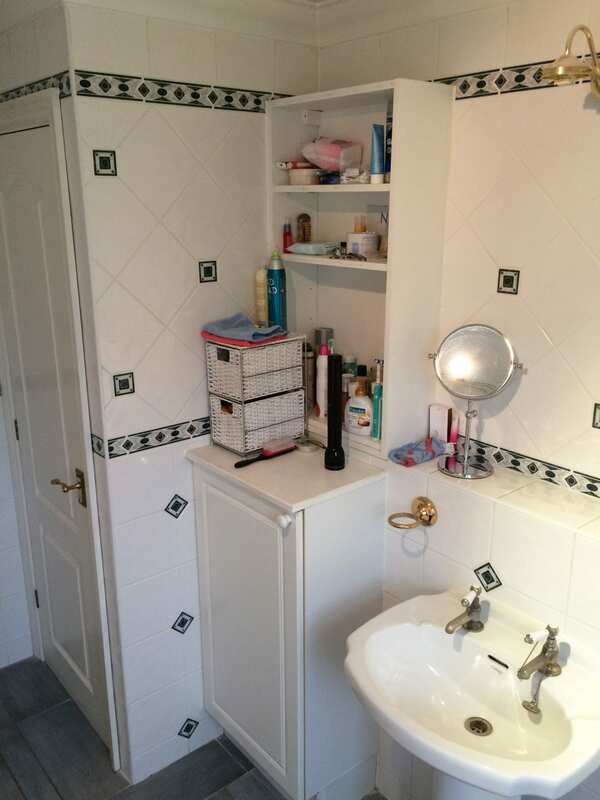 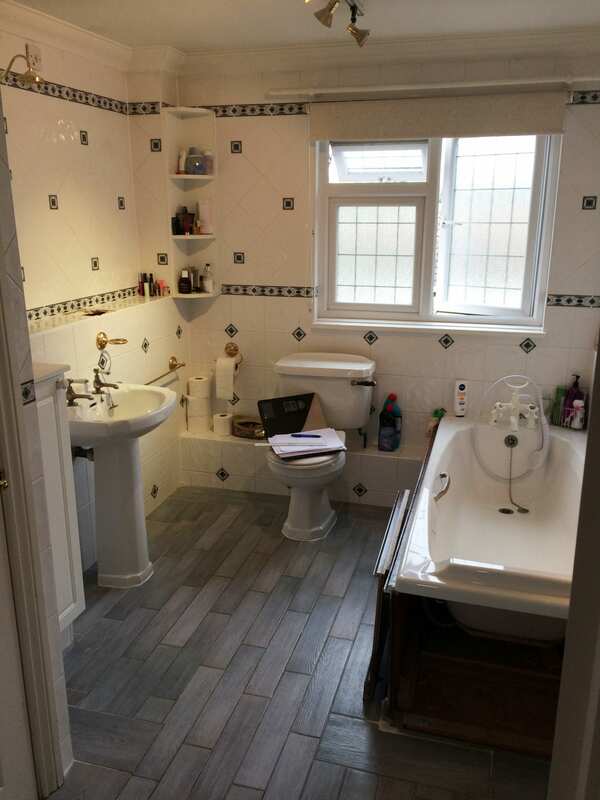 We created a niche above the toilet, adding a feature to the room as well as extra shelving space. 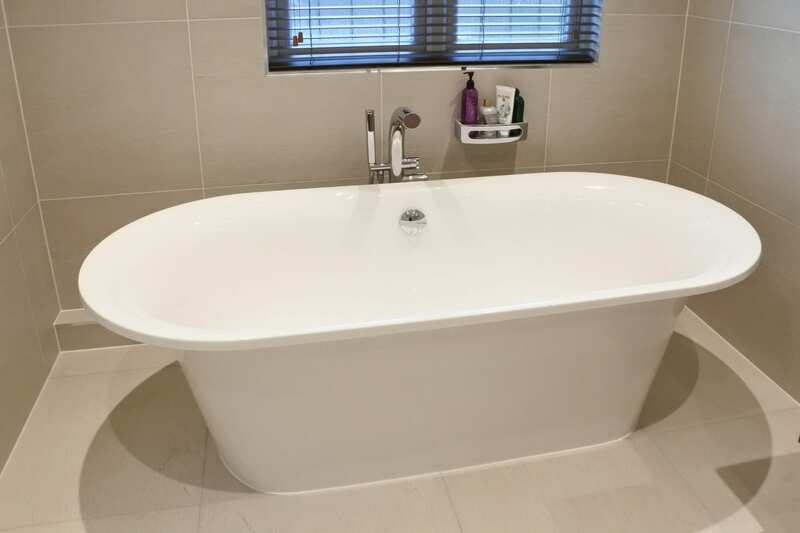 The crème-white tiles keeps the bathroom timeless and creates a light and fresh feel, the perfect ambiance for a relaxing soak.